I believe all who work with students are teachers and makers. The content we teach and the creations we make are as diverse as the students we work with. For 13 years I was a Junior High History and English teacher. Since then, I have taken on the role of a Junior High Learning Commons Director. In my role, I oversee the library, video production lab, woodshop, makerspace, arcade, and anything else that sparks a kid's curiosity. Teaching and learning are at the core of everything I do with students. I firmly believe in kid-driven, not data-driven, decisions and creating spaces where kids want to be and want to learn and grow in. I am a teacher, learner, and maker who is lucky enough to have a job where I get to be all three on a daily basis. 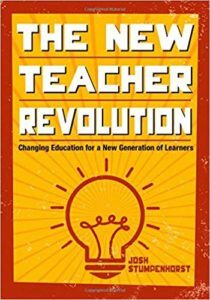 My books Drawn to Teach (release March 2019) and The New Teacher Revolution are attempts at pushing the conversation of how we can all be the best teachers possible for kids. 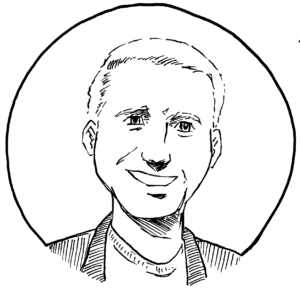 Josh is an award-winning teacher who regularly speaks with teachers in spaces ranging from keynoting international conferences to working with local school district professional development days. He has delivered the closing keynote at ISTE, given a TEDx Talk, spoke at countless local, regional, and national conferences and regularly gives book talks to his eager junior high school students. Josh Stumpenhorst is a participant in the Amazon Services Associates Program, an affiliate advertising program designed to provide a means for sites to earn advertising fees by advertising and linking to amazon.com. This space is for me to share what I think about a variety of topics related to technology, education, parenting, running and the occasional comedy movie line from the 90s. I do not speak on behalf of my school district or any other company. These ramblings are mine and mine alone.